Between 2001 and 2011, four composers brought us nearly ten hours of music to underscore the Harry Potter films. There’s melody for characters, for action, for loss and for love, and we’re going to attempt to whittle that list down to the most memorable top five. For variety (and because it’d be a foregone conclusion otherwise) we’re omitting John Williams’ signature composition, Hedwig’s Theme, from the list. Aside: if what we’ve heard of the Fantastic Beasts soundtrack is anything to go by, that theme is going to transcend ‘Potter’ and become the musical signature of J.K. Rowling’s entire wizarding world. You can also click any of the track titles to hear the piece, or to download sheet music. Let’s begin! This haunting melody is Alexandre Desplat’s signature theme used throughout Harry Potter and the Deathly Hallows: Part 2. We hear a soft choral version of the theme as the film opens, and probably the best rendition during Dragon Flight. The melody swells and takes full orchestral flight as the captive Gringotts dragon too breaks free of its restraints and flies to freedom with Harry, Ron and Hermione as passengers. Scheduling dilemmas pending, composer John Williams will score the Harry Potter and the Deathly Hallows films, according to a new interview with Harry Potter producer David Heyman. At a recent press event Heyman noted that Warner Bros. were in talks with Williams, and that the barring any scheduling conflicts, the composer would return to the franchise. 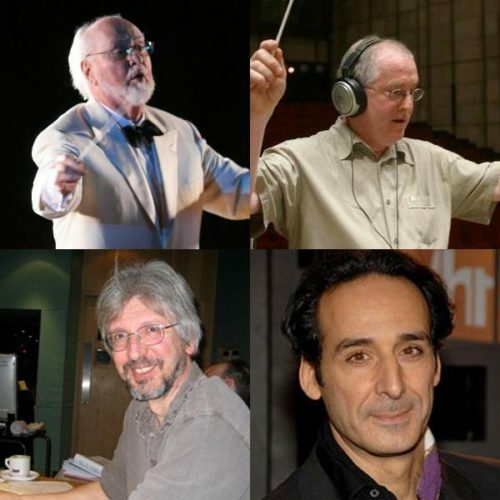 Maestro composer John Williams scored the first three ‘Potter’ films, while Patrick Doyle scored the fourth, and Nicholas Hooper the fifth and sixth. Reports have also surfaced that Nicholas Hooper has chosen to leave the franchise, and wishes for Williams to return. Williams is slated to score Steven Spielberg’s 2011 films, Tintin (currently in post-production) and Lincoln. Please note that at this stage, nothing is confirmed. We will endeavour to update you with any new information. AOL Radio are currently previewing tracks from the Harry Potter and the Half-Blood Prince score. A track is being played every hour, on the hour. The score is composed by Nicholas Hooper, who also scored Order of the Phoenix, and will be released on July 14. To listen to the soundtrack previews, click here and select “Listen to Movie Scores on AOL Radio”. Warner Bros. has today confirmed that the Harry Potter and the Half-Blood Prince soundtrack, composed by Nicholas Hooper, will be available on July 14. The score includes twenty-eight tracks (the longest ‘Potter’ soundtrack yet), with over an hour of material. An enhanced edition of the soundtrack will also be released, “giving fans a free digital download of the entire soundtrack in 5.1 Surround Sound audio, along with bonus exclusive content”. The soundtrack can currently be pre-ordered over at Amazon. Track listings for the Harry Potter and the Half-Blood Prince soundtrack have been posted on Amazon. Twenty-eight tracks will be featured on the album, making it the longest Harry Potter soundtrack to date. The score is composed by Nicholas Hooper and will be available on July 14. You can view the tracklisting below, however be aware of spoilers.